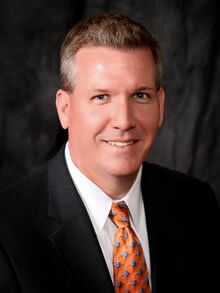 Craig McCoy has been named new chief executive officer of Emory Saint Joseph's Hospital, effective September 1, 2014.McCoy joined Emory Healthcare in May 2011 as CEO of Emory John'sCreek Hospital. Since May 2014, McCoy has served as interim CEO of Emory SaintJoseph's while also managing his responsibilities at Emory John's Creek. "Craig's knowledge and expertise in the Atlanta health care market is a tremendous asset to our independent community physicians, Emory employed physicians and staff members," saysEmory Healthcare President and CEO John T. Fox. "Under Craig's leadership, Emory Saint Joseph's will experience continued growth while also providing outstanding care to our patients and the community." The construction of a new Breast Imaging Center focused on women's imaging and composed of mammography, tomosynthesis (3-Dmammography), bone density scanning, stereotactic biopsy and ultrasound. The development of a new 19-chair infusion center in conjunction with the Winship Cancer Institute and EmoryUniversity Hospital Midtown. Strong improvements in operations and overall financial performance. McCoy has an outstanding background working in community hospital settings. Prior to joining Emory Healthcare, he served as CEO of a hospital in Phoenix, Arizona that was part of the Vanguard Health System. Additionally, McCoy worked with Vanguard in avariety of other capacities, as well as serving as vice president of professional services at Oconee Medical Center in SouthCarolina. Originally from South Carolina, McCoy holds a bachelor's degree from Furman University and a master's of health administration from Medical University of South Carolina/Clemson University. For more than 130 years, Emory Saint Joseph's has provided quality healthcare to the Atlanta and metropolitan area. Founded by the Sisters of Mercy in 1880, Emory Saint Joseph's is Atlanta's longest serving hospital and is the only community hospital in the world to achieve Magnet Recognition for NursingExcellence five consecutive times. About Emory Healthcare: Emory Healthcare, the largest, most comprehensive health system in Georgia, includes Emory University Hospital, Emory University Hospital Midtown, Emory University Orthopaedics & Spine Hospital, Emory Wesley Woods Geriatric Hospital, Emory Saint Joseph's Hospital, Emory Johns Creek Hospital, Emory Rehabilitation Hospital in Partnership with Select Medical, Emory Clinic, Emory Specialty Associates and the Emory Clinically Integrated Network .Emory Healthcare's seven hospitals and physician groups, together with Emory University School of Medicine – which is one of theSoutheast's leading academic medical centers -- are transforming health and healing with a focus on the delivery of patient- and family-centered quality care.